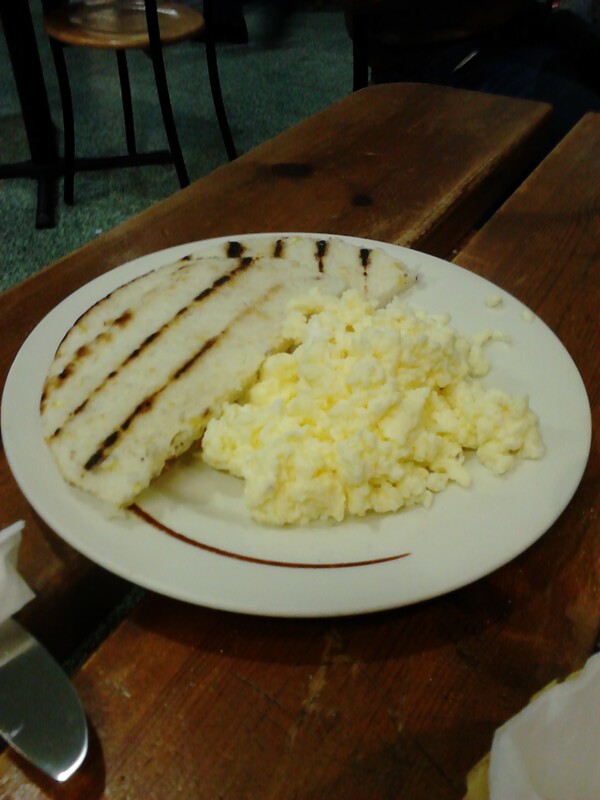 One chilly Sunday morning we found ourselves wandering around the delightful Elephant and Castle Shopping Centre looking for some Colombian grub. The food came when it was ready, served in plastic wicker-esque bowls. There didn’t seem to be any mains on the menu so we opted for a few starters to share between us. 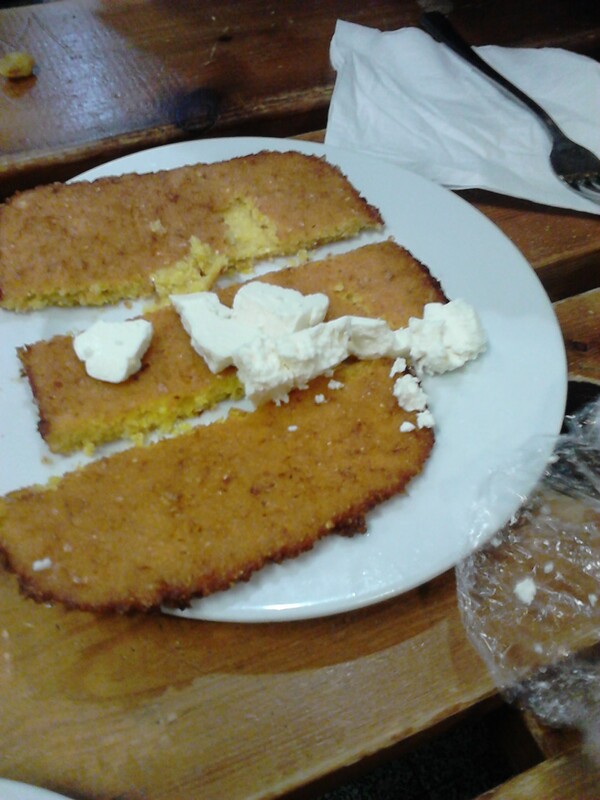 We had Arepas de choclo con queso – sweet corn fritter with Colombian cheese (Ruth’s fave), Bunuelos – dough cheese fritter balls (pretty good), Arepas fritters de maiz con huevo – corn fritter bread with egg (a little on the bland side) and Padebono – oven cooked dough and cheese (basically a cheese doughnut!) 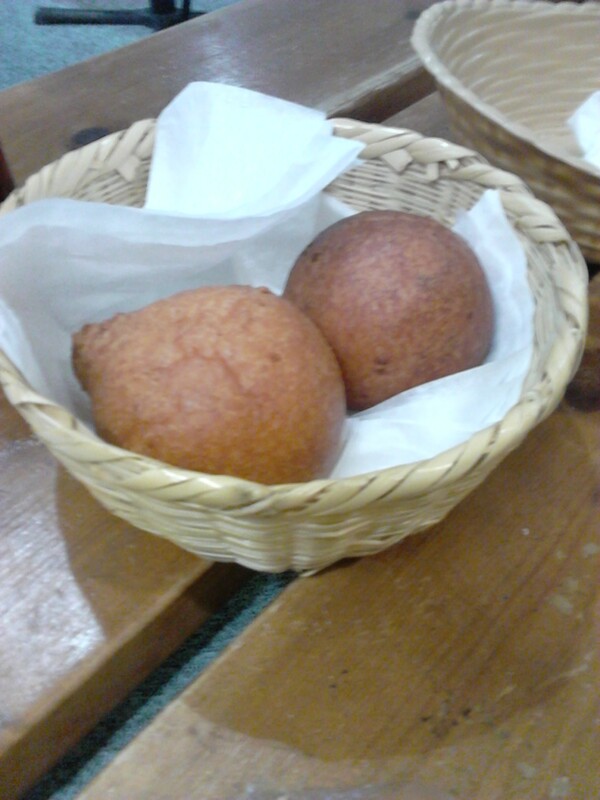 These came with some salsa, which certainly added a kick and made a couple of the dishes. 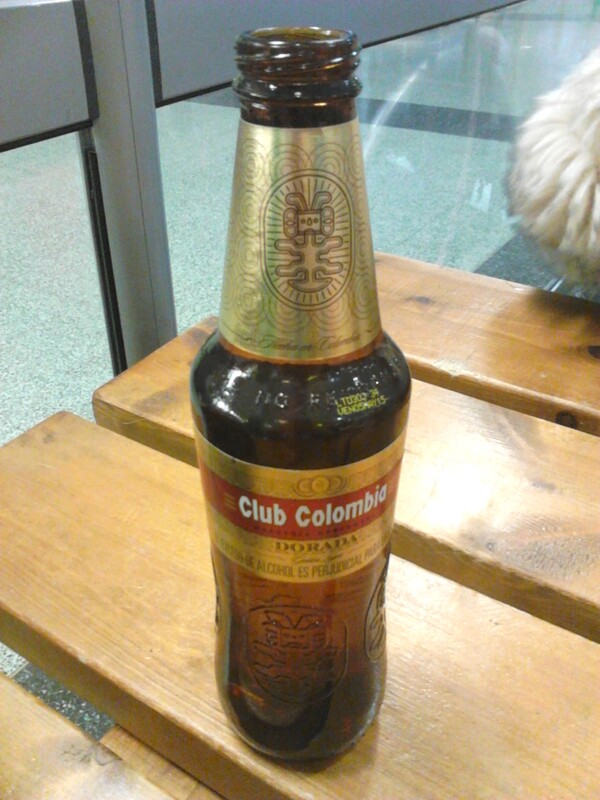 We also sampled some Colombian beer – Cafe Colombia – which was very pleasant. Overall we thoroughly enjoyed the Colombian experience. 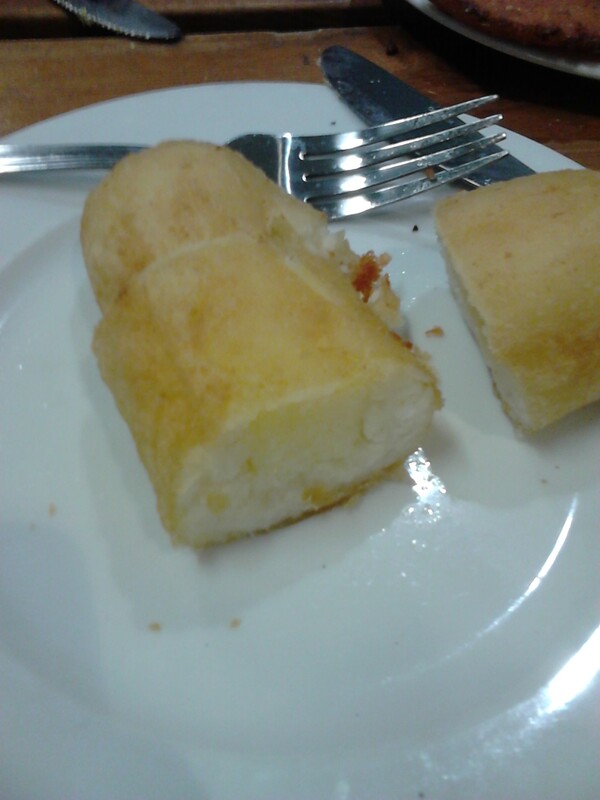 The staff were friendly and the food was very good value. If we find ourselves in the Elephant and Castle Shopping Centre in the future (quite unlikely) we will definitely pick ourselves up some Colombian snacks from La Bodeguita. This entry was posted in Uncategorized and tagged beer, colombia, Dining, dinner, Dinnergeddon, eating, Eating out, elephant and castle, Food, fried food, la bodeguita, London, restaurants by dinnergeddon. Bookmark the permalink.